It can happen to anyone. You’ve been to a wedding reception, a cookout with friends and family, a birthday party, or some other type of social gathering. It was meant to be a celebration. You had a couple of drinks, or possibly more, but you thought that because so much time elapsed, and that you were not drinking on an empty stomach, you would be just fine driving home. That is, until you were pulled over, and the next thing you know, the police officer is asking you to get out of the car and do field sobriety tests. The officer asks you to stand on one leg—and it does not go so well for you. Then you are asked to walk nine steps along a straight line, a task that proves to be very difficult to do. The officer looks into your eyes closely while moving a pen across your face, side-to-side. Finally, you are given a portable breathalyzer test, the result of which is not encouraging. The officer reads something to you from a card, the gist of which is that you are being asked to take another test, and if you do not consent, you will lose your license for a year (and maybe two years). You agree to the breathalyzer test (the officer calls it a chemical test) and go in the police car to take this test. You exhale into the mouthpiece and register a score over the legal limit, and you are arrested for Operating a Vehicle While Intoxicated, and then escorted to jail. Hours later, after full sobriety is restored, reality hits you, and you realize that you are not in a place you want to be. You have a good job, a loving family, and you need to get back to your responsibilities and normal life ASAP. You need to get a driver’s license that will get you back and forth to work. 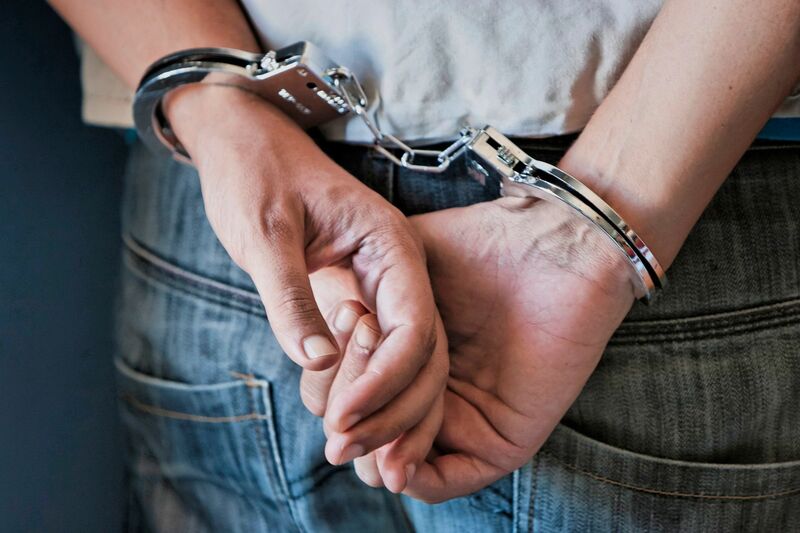 Depending on the facts of your case and criminal history, you might have just been arrested for a felony. You cannot have a felony on your record; you will lose your job. Finally, you begin to think that you just might have a problem with alcohol—maybe this wasn’t just an isolated incident. Johnson Law Office will get you through this very difficult process. From the start, we will file the required paperwork with the court to get you a driver’s license that will get you back and forth to work and anything work-related. We will address other issues facing you as well, such as the felony facing you, if applicable. There are usually legal tools and solutions to get rid of the felony that you face. Finally, your job requires you to be present at work, and not in jail. To keep you out of jail, there are usually other options available, such as home detention/electronic monitoring, if available, or work release. Cases involving operating a vehicle while intoxicated are complex cases, requiring experienced legal representation. You want to have an attorney representing you who knows the legal issues surrounding valid traffic stops, field sobriety tests, especially the proper administration of these tests, chemical tests, blood draws, driver’s license ramifications of OVWI, sentencing consequences of OVWI, restitution issues of OVWI, if applicable, and a host of other legal issues. You also need to have an attorney who can point you in the right direction regarding several options for substance and alcohol intensive out-patient treatment, so that you get to the root of the problem. Johnson Law Office checks the box on all of these issues. I just got arrested for drunk driving. The police took my driver's license and gave me a piece of paper in exchange. Am I allowed to drive? Or is my license suspended? Recent changes in the law regarding Specialized Driving Privileges will favorably affect a person's ability to get a license that will get you back and forth to work. The exact timing of when your license is suspended due to your recent drunk driving arrest depends upon several factors. At the time of your recent drunk driving arrest, your license might have already been suspended for another reason. We will gladly answer these and other questions when we sit down together for a consultation. I was recently arrested for Operating a Vehicle While Intoxicated, but I did not even have a drop of alcohol! How can that be fair?! The law regarding Operating a Vehicle While Intoxicated does not require that you be impaired by alcohol. Your impairment can arise from many types of substances, including prescription drugs for which you have a valid prescription. You might also be impaired if you consumed marijuana, especially if you drove a vehicle within three hours after you consumed the marijuana. I was recently in a serious car crash involving another vehicle in which the other driver was seriously injured and is now in a coma. I did not have anything to drink, but I had smoked some marijuana two weeks ago, and I know I was not high or impaired at the time of the tragic crash. I am now being charged with a felony. What do I do? Call us for to schedule a consultation. This is extremely serious. Even if you had no THC remaining in your body, you could still have the metabolites derived from the THC in your body—for up to 30 days or more. If you still have the marijuana (THC) metabolites in your body and you cause a crash involving serious bodily injury or death, you will most likely face felony charges against you. I was recently arrested for drunk driving (Operating a Vehicle While Intoxicated). I was told that since I had a prior drunk driving conviction, I have to do a mandatory ten days in jail. So I have two questions: first, do I get credit days for those ten days in jail? Second, my prior drunk driving conviction was 20 years ago. Does that still count as a prior drunk driving conviction? No matter how long your prior drunk driving conviction took place, it counts as a prior drunk driving conviction for several purposes, including the mandatory jail days you just mentioned. Regarding your question about "good time credit" being awarded to those ten required jail days, give us a call at Johnson Law Office to discuss that question and others regarding legal representation and providing you with aggressive, knowledgeable criminal defense in your pending drunk driving case. Loss of freedom: You can go to jail. Loss of eligibility for federal student loans: Even a criminal conviction for possession of marijuana can make you ineligible for a federal student loan. Loss of your job: With many if not most employers, a criminal conviction for drug offenses will keep you from getting a job with that employer. If you are currently working, and your employer finds out about your criminal conviction for a drug offense, then you might lose your job, depending on your employer's policy. Employers are concerned that their employees will get hooked on drugs and then be unable to do their jobs, either by not being mentally present at the job, or by not physically showing up for work in the first place, because the employee is too impaired by the drugs or passed out or asleep. Furthermore, employers fear that an employee who is addicted to drugs will steal from the company and then sell or pawn the stolen goods so that the employee can get some more drugs. Loss of income: If you lose your job, you obviously lose the income from that job. But there is even something more serious going on—with all too many drugs, you can get addicted to them. And when drugs become something that you crave, then you will spend your money on them. When your money runs dry, then you will go into debt to get more drugs. When you cannot borrow any more money, then you will "borrow" from others to get more drugs. When you cannot borrow anything more from friends and family, then you will steal from anyone, including family, to get more drugs. You might get away with it for a while, but eventually you will get caught, arrested, and go to jail, then put on probation, where they will test you for drugs. When you steal from others to get drugs, you might not get arrested; instead, you might break into the wrong house, or try to rob the wrong person face-to-face, and they might have a gun and shoot you in self-defense, leaving you paralyzed or dead. Loss of your spouse, girlfriend, boyfriend, significant other, fiancé, or romantic partner: A person who gets a criminal conviction for drugs may lose their job, and in turn, their ability to secure another job quickly. More than likely, they will have to take a lesser-paying job, and even that job might take more time to get than expected. Again, employers are concerned about liability for retaining people on the jobsite when they have been convicted for a drug offense. A spouse or romantic partner might very well stand by your side if you get convicted for a drug offense, especially if it is a misdemeanor and if you did not lose your job for that conviction, but why take that chance? We've talked about how serious a criminal conviction for drugs can be. A person can lose their freedom by going to jail; they can lose their federal student loan eligibility, their job, income, savings, and romantic partner. As awful as these are, a person who has been recently arrested for a drug offense can look at their recent arrest as a wake-up call to get substance abuse treatment while there is still time. Otherwise, a person who gets addicted to drugs and who does not get help can degenerate in a negative spiral that in some cases, can result in a drug overdose, which can be fatal. More people die of opioid overdose each year in the United States than in all of the years of combat in Vietnam, Laos and Cambodia from 1963-1975. It does not have to be this way for you. At Johnson Law Office, we stand ready to come along side you to listen, investigate and analyze the facts of your case, then, based on that analysis, arrive at various legal options available to you, then discuss those options with you. You the client get to decide which option to go on, and we will provide you with aggressive, competent legal representation and insightful criminal defense throughout the entire process. I got pulled over and the police gave me a summons to come to court for drugs in my car, but the drugs weren’t even mine! Can we beat this case if I have my buddy tell the cops that it was his drugs? Give us a call for a consultation. This type of case has several legal issues that we need to closely examine. Is it true that I can lose my driver’s license if I am found guilty of a drug crime? In some cases, yes. Give us a call to discuss this in more detail. The police arrested my buddy and me for possession of drugs in his car. How can they charge me when I was just the passenger? There is a big difference between “possession” of drugs and “owning” the drugs. Give us a call at Johnson Law Office to thoroughly explain this and your case in general, as well as your options going forward. My husband was recently arrested for opioids. I think he is addicted to his pain pills. What should we do? You are facing several serious situations right now: first, your husband must deal with a pending criminal case. Second, he needs to get help for substance abuse. There are still other issues to talk about when you give us a call at Johnson Law Office to carefully go over all of the details and facts of your husband’s pending case and his options going forward, as well as the underlying substance abuse and addiction issues that must be dealt with. I got pulled over and the police took my marijuana and my money! I had $5,000.00 cash in a duffel bag in my trunk. When I asked the police why they took my money, they said that they were doing a forfeiture of my money. What is that? And is it possible for me to get my hard-earned money back? Give us a call for a consultation. The law regarding forfeiture can be complicated; you will do yourself a favor by giving us a call for a consultation. Call us for to schedule a consultation. This is extremely serious. Even if you had no THC remaining in your body, you could still have the metabolites derived from the THC in your body-for up to 30 days or more. If you still have the Marijuana(THC) metabolites in your body and you can cause a crash involving serious bodily injury or death, you can be prosecuted for that. You recently have been arrested or received a summons to go to court for a crime. Whether this is your first arrest ever or not, we at Johnson Law Office stand ready to provide you with aggressive and competent criminal defense. We will sit down with you and listen to what you have to say, provide answers to the many questions that you have, and provide legal insight into the facts of your situation. We will communicate to you several options available to you, and will do so in ordinary plain English, and not in “legal-ese”. Your job: If one of the potential consequences of your arrest is the loss of your driver’s license, you need to contact us at Johnson Law Office to see if you are eligible for a driver’s license that gets you back and forth to work and any work-related events. In addition, to keep your job, you need to show up for work. This is affected not only by driver’s license issues, but also if you get sentenced to jail, this will often mean that you lose your job. At Johnson Law Office, we will fight aggressively for you to keep you out of jail when possible. Sometimes the issue is a criminal conviction that you still have on your record from many years ago, preventing you from getting a job. We at Johnson Law Office can help you get your criminal conviction sealed, which is Indiana’s version of criminal expungement. Properly done, your criminal record can be sealed from the eyes of the general public, including present and prospective employers, nosy neighbors, and even a loan officer. Your income: If you lose your job because of your recent arrest, you will lose your income from that job. To say the least, that is a horrible thing. At Johnson Law Office, we will provide aggressive criminal defense that seeks to keep your job. Your driver’s license: You may think of your driver’s license as being a necessity for work-related driving, but if you think of it, your driver’s license really is a big deal for other areas of your life. Whether you are talking about picking up your kids from school, or going to the grocery store or wherever, your driver’s license is something that you really need to have, and something that you might not fully respect until you do not have it anymore. At Johnson Law Office, we will fight hard to protect your driver’s license, and even harder to get your license back. Your freedom: If your recent arrest starts a chain reaction that ends up with you in jail, then you lose your freedom for however long you are in jail. Sounds obvious, but maybe we do not think about that until you are actually in jail. This is something that is so serious that we will do whatever we can within the bounds of the law and ethics to prevent you from going to jail. Your relationships with your family: Being arrested is stressful. It can cause enormous stress with your family in so many ways. We at Johnson Law Office will fight very hard to prevent your arrest to ripen into a criminal conviction when possible. Your status as a felon: Perhaps prior to being arrested recently, you were not a felon. If you have been charged with a felony recently, and you do nothing about it, chances are very strong that your felony arrest will ripen into the ugly fruit of a felony criminal conviction. The consequences of being a felon are severe and numerous. You do not have to let this happen to you. Call Johnson Law Office to see what we can do to prevent you from becoming a felon. Your finances (savings): If you have been recently arrested, you will be looking at a serious financial outlay. You will be paying out money for a bond, attorney fees and costs of representation (deposition costs, etc. ), potential court costs and fines, and numerous other expenses. It matters which attorney you hire/retain. You do not want to necessarily be retaining the least expensive attorney right out of law school, but one with many years of experience with proven trial experience. Call us to Johnson Law Office to get started. At Johnson Law Office, we stand ready to come along side you to listen, investigate and analyze the facts of your case, then, based on that analysis, arrive at various legal options available to you, then discuss those options with you. You the client get to decide which option to go on, and we will provide you with aggressive, competent legal representation and insightful criminal defense throughout the entire process, start to finish. Does your office provide legal representation to people charged with misdemeanors or felonies? Yes, Johnson Law Office, P.C. provides legal representation for people who are charged with either misdemeanors, felonies or both. Just call us at (317)536.6268 for a consultation. I have a good job that requires that I stay out of jail. I was almost fired from my job when I spent the night in jail when I was arrested. I don’t want to go back to jail! There are many alternatives to jail. First, let’s look into actually winning the case. There may be some legal issues with your case that could radically increase the probability that your case could get dismissed. We will fight hard to uncover weaknesses in the prosecution’s case. In addition, we will look at your specific facts in your case. In many cases, when you apply the law to the facts in a specific case—your case, for example—the case is something that we can work with to get a very favorable result for you. And when all else fails, there are several alternatives to jail. So, depending on the facts of your case and your criminal history as well as other factors, jail does not have to be a reality for you. Give us a call to set up a legal consultation. I have never been arrested before until just last week. What is going to happen to me? This is a very difficult, even scary time for you. Give us a call to sit down with us to go over your case and guide you through this process and answer all of your questions. I was recently arrested for shoplifting, which they are referring to as theft. I have a couple of questions: first, if they do not have any video of me stealing anything, how can they find me guilty? Second, I received a letter from a law office out of New York demanding that I pay them one hundred dollars, or they might take further action against me regarding this case. What should I do? You should call us at Johnson Law Office to set up a consultation where we can walk you through what the prosecution has to prove in a theft case. In addition, we will thoroughly address the issues regarding the letter you received about this case and recommend a course of action. I was recently arrested for pointing a firearm. We were at a bar, and the other guy was verbally abusive. What is going to happen? There are many issues surrounding this type of criminal charge. Give us a call at Johnson Law Office to set up a consultation so that we can develop the facts, spot the legal issues, apply the law to the facts of your case, and make sense out of what happened. We will also recommend a course of action going forward. My wife and I had an argument that got heated. I am not sure who called 911, but the next thing I know, the police showed up, and I’m in handcuffs heading to jail. I can’t lose my job. What do we do? Domestic violence cases are very serious. The person accused of a crime in this case— and that person only—should call us at Johnson Law Office for a consultation so that we can discuss this case in detail with you, the accused. We will make sense out of this unfortunate situation and show you your options going forward. Food, water, oxygen, money, a roof over our head, and yes, a driver’s license—these all fit together as necessities in 21st century Indiana. Unless you’re into riding a scooter, you really do need a driver’s license. You might have a loved one who will drives you back and forth to work, to the grocery store and runs your errands, but most people do not have that luxury. And for those that do, that kind soul who is driving you around will soon tire of being your personal chauffeur. It's time for you to get your driver's license, even if it is a hardship license(SDP). Good news! Favorable changes in the law in the past few years have made it less difficult for you to obtain a hardship driver’s license (now called Special Driving Privileges, or simply SDP). In many if not most cases, you qualify for SDP, which is basically a driver’s license that gets you back and forth to work and work-related activities. Perhaps you are in a job where the job simply requires you to have a driver’s license. Maybe you have a sales territory or you are a contractor where you go from job site to job site from day to day. Whatever your situation, you need to have SDP for work-related driving. 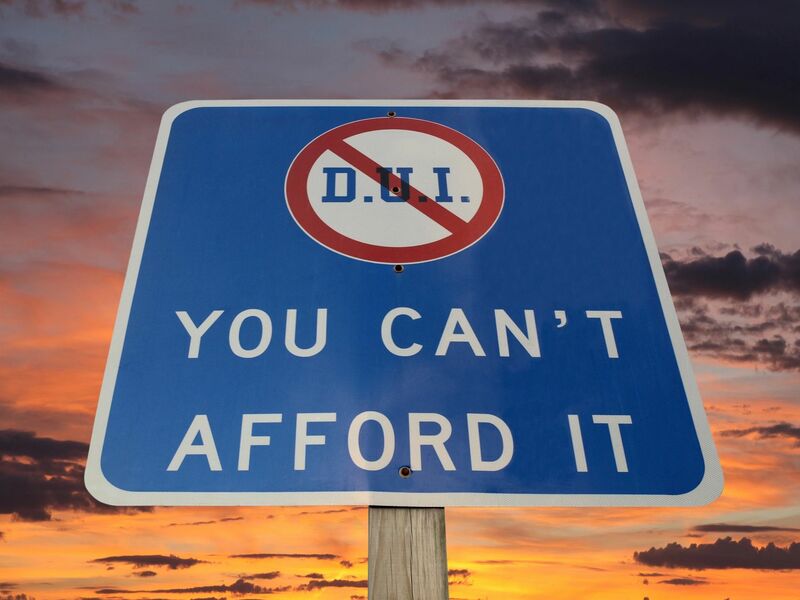 In some situations, your SDP driver’s license will even help you with mandatory drug and alcohol classes and treatment while your case is pending and when you are on probation. Court-ordered events are covered by most SDP driver’s licenses. No more do you have to lose a job because you do not have a driver’s license. At Johnson Law Office, we will see whether you qualify for a SDP driver’s license, and if so, we can help to make that happen for you. I have a lot of unpaid traffic tickets. Am I able to get a hardship driver’s license? You will need to pay your unpaid traffic tickets before getting a hardship driver’s license. By the way, it is no longer called “hardship driver’s license.” It is now called Special Driving Privileges, or simply SDP. I was recently arrested for drunk driving, which the police are calling “OVWI.” They say I refused the “chemical” test—whatever that means—and they drove me to a hospital and took my blood. So is my driver’s license valid? If it is valid, how long will it valid before they suspend it? If my driver’s license is suspended because of this arrest, then am I able to get a hardship license (Special Driving Privileges)? If the police said that you refused the “chemical” test, then you are not able to get a hardship driver’s license (SDP). However, there might be legitimate legal issues surrounding the facts of your alleged “refusal” of the “chemical” test which was offered to you. Call us at Johnson Law Office for a legal consultation. I was recently arrested for drunk driving, the police said that I did not refuse the chemical test (the test for alcohol that is conducted typically at the police station), but the officer said that he thought I was under the influence of marijuana and pills, after he found my Xanax in the car and my marijuana in the console. He took me to the hospital to do a blood draw. Is my driver’s license valid at this point? How am I supposed to drive back and forth to work? You will need to look yourself up on the Indiana Bureau of Motor Vehicles website to check to see whether the BMV considers your license to be valid or not. Many courts hold off on actually finding probable cause to suspend your driver’s license until the results come back from the laboratory regarding your blood draw. If those results indicate that you were above the legal limit for alcohol (.08), or that your blood draw results show that you had narcotics or other impairing agents in your blood, then the judge will find probable cause to suspend your driver’s license. Recent changes to the laws in Indiana regarding Special Driving Privileges (formerly known as hardship driver’s license) have made it less difficult to obtain a driver’s license that will get you back and forth to work and work-related events. Give Johnson Law Office a call for a consultation. I just got arrested for drunk driving. The police took my driver’s license and gave me a piece of paper in exchange. Am I allowed to drive? Or is my license suspended? Recent changes in the law regarding Specialized Driving Privileges will favorably affect a person’s ability to get a license that will get you back and forth to work. The exact timing of when your license is suspended due to your recent drunk driving arrest depends upon several factors. At the time of your recent drunk driving arrest, your license might have already been suspended for another reason. We will gladly answer these and other questions when we sit down together for a consultation. I have my driver’s license suspended for life. Is there any possible way that I can still get a license that gets me back and forth to work? In some circumstances, that is possible. Give us a call for a consultation. I was recently arrested for being a Habitual Traffic Offender. What is that? Am I able to get a hardship driver’s license? You have been arrested for (charged with) an F6 felony. Give us a call at Johnson Law Office to set up a consultation to go over all of the details of this offense, and the driver’s license issues related to it. You have a criminal conviction on your record from years and years ago. Time and time again you have applied for jobs, only to be turned down because the criminal history that they ran on you, turned up that criminal conviction. If that criminal conviction is a felony, then that fact alone can knock you out of even being considered for a job. Other convictions, such as domestic battery, or a gun-related crime, of a theft from an employer-type crime, are the type of crimes that prospective employers many times simply cannot overlook for liability reasons. You do not have to constantly be denied employment by reason of your criminal history. 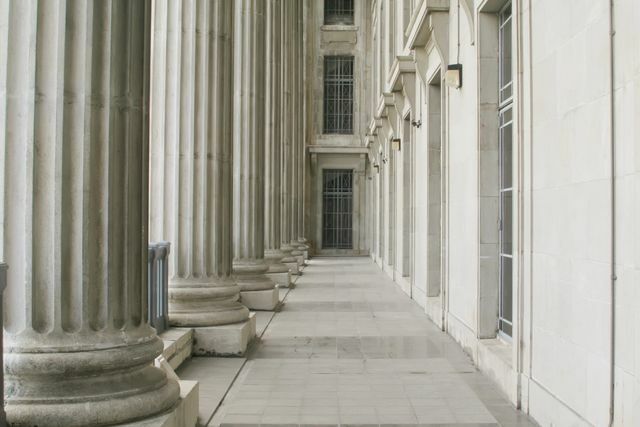 After the required number of years, depending on whether your conviction was a felony or a misdemeanor, you may be able to get your conviction sealed, which is Indiana's form of expungement. Prospective employers will not be able to see a properly sealed (expunged) criminal conviction. Law enforcement will still be able to access your sealed criminal conviction, but a prospective employer running a criminal history background check on you, will not. Finally, there is yet another tool that we can use to help you with past criminal convictions that are getting in the way of your efforts to obtain employment. Many times, a person has a Level 6 felony on their record that is like a gigantic boulder in the middle of a narrow mountain road, making the road impassible. In some situations, we at Johnson Law Office are able to use Indiana laws regarding Alternative Misdemeanor Sentencing to reduce that Level 6 felony to a misdemeanor, thereby getting rid of that felony. By so doing, you will be able to truthfully say on your job application and in your job interview that you do not have a felony on your record, assuming that this was your only felony. At Johnson Law Office, we will file the necessary documents to get your conviction expunged, or to get your felony reduced to a misdemeanor, so that you no longer have to pay for a crime for which you have already served your sentence years ago. It is time to get on with your life.